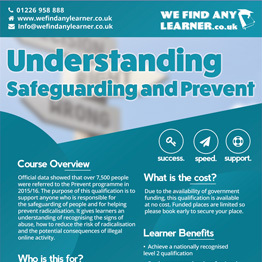 The purpose of this qualification is to support anyone who is responsible for the safeguarding of people and for helping prevent radicalisation. 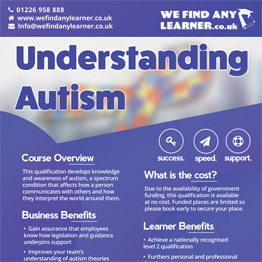 Ideal for those where an understanding of autism and knowledge of how to support people with autism is required for their job role. 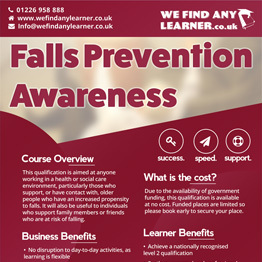 This qualification is aimed at anyone working in a health or social care environment, particularly those who support or have contact with, older people who have an increased propensity to falls. Challenging behaviour used to be called “problem behaviour” but it is important to realise that an individual who displays challenging behaviour is not a “problem to be fixed”. The courses are delivered through activity workbooks designed to support learning and test knowledge. During your induction, you will be guided through the course plan. Distance Learning is the perfect solution for those with busy work or home lives who would like to gain a NCFE / CACHE accredited qualification. We give businesses and individuals access to a better future. Whether you’re looking to upskill your workforce, or ready to progress your career. 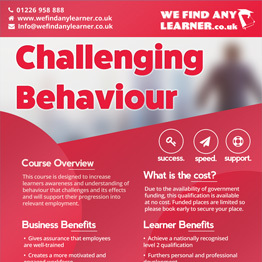 We can help you achieve a nationally recognised qualification.